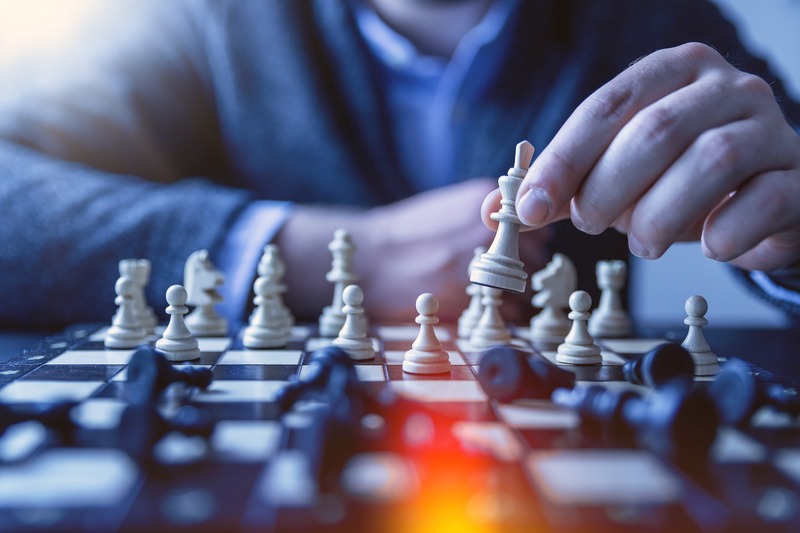 One helpful tool in an effective sales enablement playbook is battlecards, especially for when a prospect is choosing between your product and a competitor’s. All too often, companies make the mistake of filling these battlecards with points that have been collected by word of mouth. For instance, if a salesperson is on a call with a prospect and that prospect mentions something about a competitor, that may be added to the battlecard. But, how can you ensure that it’s an accurate insight, and how can other prospects confirm that you’re giving them unbiased information? Let’s take a look at how to eliminate bias and arm your sales team with the best battlecards. What is a Competitive Battlecard and When Should Your Sales Team Use Them? Trying to close a deal when a prospect is torn between you and a competitor is the equivalent to trying to win a battle, which is why we call these handy cheat sheets battlecards. Battlecards are most commonly known to hold the strengths, weaknesses, objection handling, product differences, customer happiness levels, competitive analysis, and more. Having uniform collections of data on each competitor allows all of your sales team members to be on the same page, and have prepared answers, rather than just guessing, when a prospect asks for differentiating traits between you and a competitor. Battlecards can be helpful for providing a quick competitive snapshot as a reference for your sales team. There is a certain level of trust that needs to be built during the sales process between the sales representative and the prospect. Your sales team should be able to build the necessary trust with a prospect by showing that they understand not only their industry but also their competitive landscape. If a prospect asks about a competitor while on a sales call, it can be a tricky situation for the sales representative. It’s easy to deflect questions from prospects or provide them with biased information, but they are more likely to trust you if they’re being provided with facts. Being able to provide prospects accurate information about a competitor allows you to maintain your credibility and continue to build trust. That’s why relying on hearsay to create battlecards can hurt your chances of closing a deal. Due to the fact that battlecards are typically created with information that is passed on by word of mouth, it’s important to double check that your battlecards have honest and accurate information. So, how do you validate the claims that are being said about competitors? Do you wait until multiple sales people tell you the same claim? Do you simply trust that the information they receive from a prospect is right? Or, do you have a source to validate the claims? Truly the best practice is to have sources to validate the information you’ve been given. Depending on the information that the prospect shared with your sales rep, there are multiple sources you could use for validating the claim. You can easily view your competitor’s press releases, product release notes, or customer reviews online. That way you can see firsthand what your competitors are doing, and what your competitors’ customers are really saying about the product. All of these sources are good validators of information that can help you put together valuable information to add to your battlecards. For example, your sales rep is on a call with a prospect, and they mention that one of your competitor’s products isn’t very user friendly. Since you may not have firsthand knowledge of this, the best way to investigate and get validation would be to check reviews from their customers as well as product updates to see if your competitor is trying to improve their UX. You can arm your team by letting them know the cons of your competitor’s UX in comparison to the pros of your product or encourage them to point prospects to the negative reviews citing the competition’s poor UX. That way, your team is prepared to tackle that topic in the future. Information changes rapidly, which means gathering competitive intelligence never stops. The information that you’re gathering is beneficial for all teams within your organization. Battlecards may only be one part of your sales enablement tool belt, but should be updated whenever you have new factual data about a competitor. Ensure that you’re staying on top of the changing landscape and keep your battlecards robust with the help of a real-time competitive intelligence tool which can gather great competitive intel and provide your teams with relevant alerts.